Another summer, another cycling season. I've been cycling since March, but I only just today went to the Bike Centre to do some maintenance. 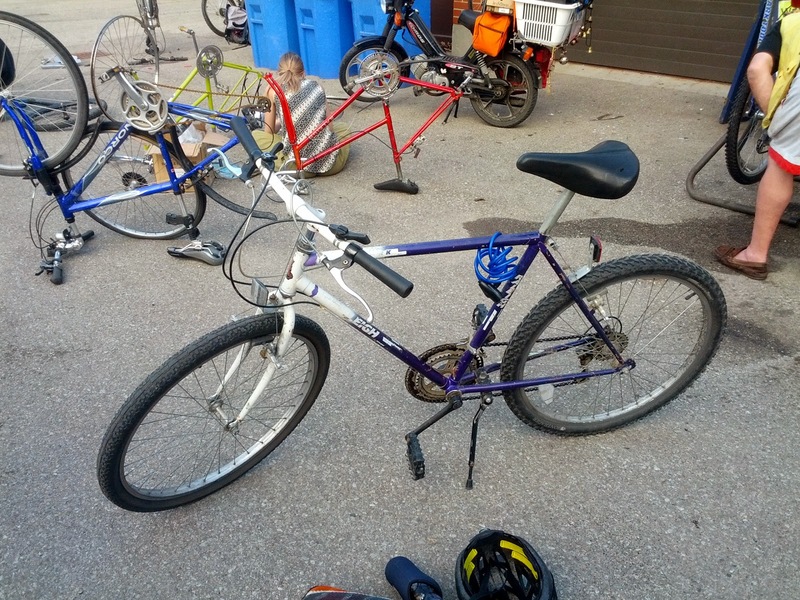 Largely because I have no idea what I'm doing, but I don't necessarily want to pay someone else $70-100 to look at a bike that barely costed even that much. 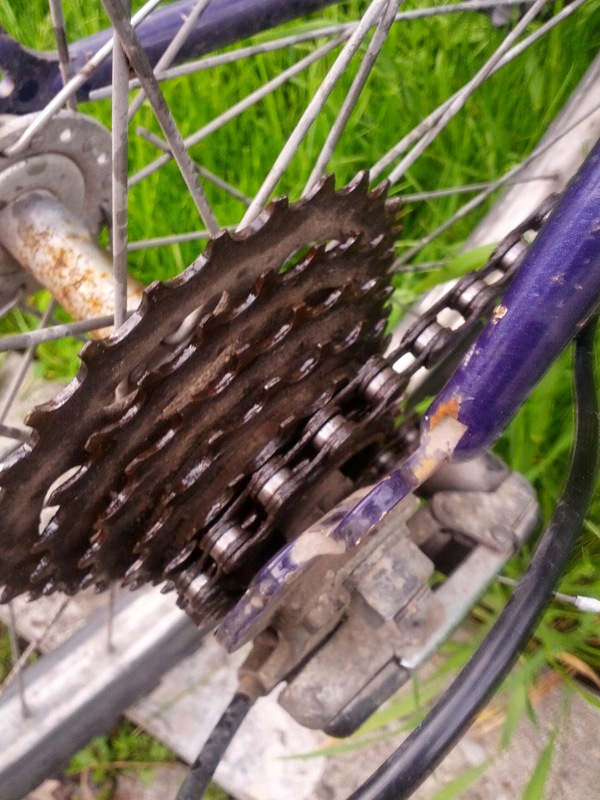 My gears have been making awful noises as I pedal on the highest one up hills, and someone suggested they needed oiling. Did they ever. They're now well oiled and silent like ninjas in the night. My rear brake hasn't been working. 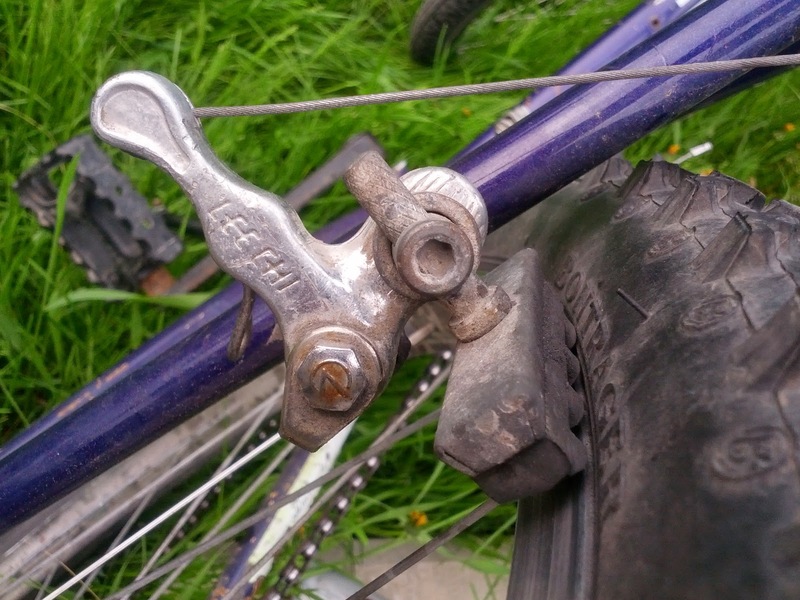 I won't show you a photo of how badly frayed the brake cable is (it won't last much longer...), but that ultimately wasn't the main barrier. That would be the misalignment of one of my rear brake pads. A bit of adjusting and ta-da, I have rear brakes again. You wouldn't believe how many times I wrote 'break' instead of brake above. Whoops. Also, Blogger's ability to switch between <img> tags and writing text is awful! Anyway, how to bike to work.